During a six-minute exchange Sunday, CNN anchor Jake Tapper could not get a direct answer from Indiana Gov. 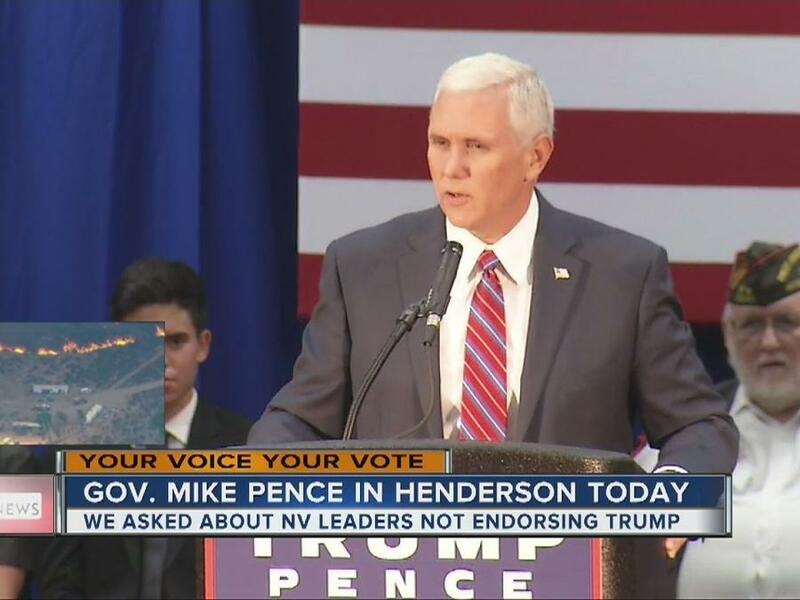 Mike Pence over whether Donald Trump still supports a so-called "deportation force." In an interview on CNN's "State of the Union," Trump's running mate claimed the Republican presidential nominee's immigration platform was exactly the same as it was during the primaries — despite Trump's suggestion last week that he may back away from his plan to forcibly remove millions of immigrants living in the US without permission. "Nothing has changed about Donald Trump's position on dealing with immigration," Pence said. After Pence ticked off several of Trump's immigration policy positions — building a wall along the US-Mexico border and implementing E-verify, a system that allows employers to check whether a job applicant is qualified to work in the US — Tapper noted that the Indiana governor avoided answering whether Trump still supports a deportation force. "One issue that you didn't really address is whether the 11 or 12 million undocumented immigrants will be removed by a deportation force," Tapper said. "Is that policy still operative?" Pence emphasized that Trump's deportation force was a "mechanism, not a policy," and promised that "Trump will articulate what we do with the people who are here." "I know the media wants to focus on that one issue. Donald Trump will articulate a policy on how we deal with that population," Pence said. Tapper pointed out that Pence himself praised Trump for raising the issue of immigration in the Republican presidential primary, yet was not willing to acknowledge whether Trump changed his position on a core tenant of his pitch to primary voters. "I don't understand why it's the fault of the media for focusing on an issue that you're crediting Trump for bringing to the fore," Tapper responded. "The idea is Mr. Trump won the primaries in no small way because he had this very forceful position saying all 11 million undocumented immigrants will be forced to leave the country. Now, you right this minute, are saying that's not the policy. You're saying it'll be unveiled in the next few weeks — It's 72 days until the election." After Pence insisted that Trump's position was "completely consistent," Tapper acknowledged that he wouldn't get a direct answer from Pence. "To be clear, you did not address the issue whether or not there will be a deportation force removing the 11 million, but I don't want to spend the entire interview on that one subject," Tapper said.